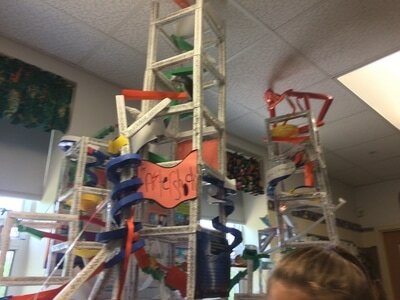 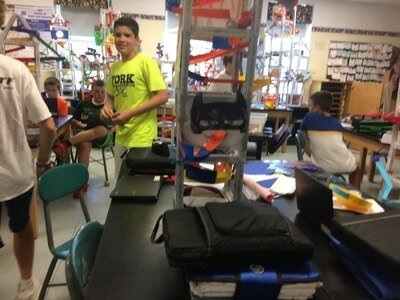 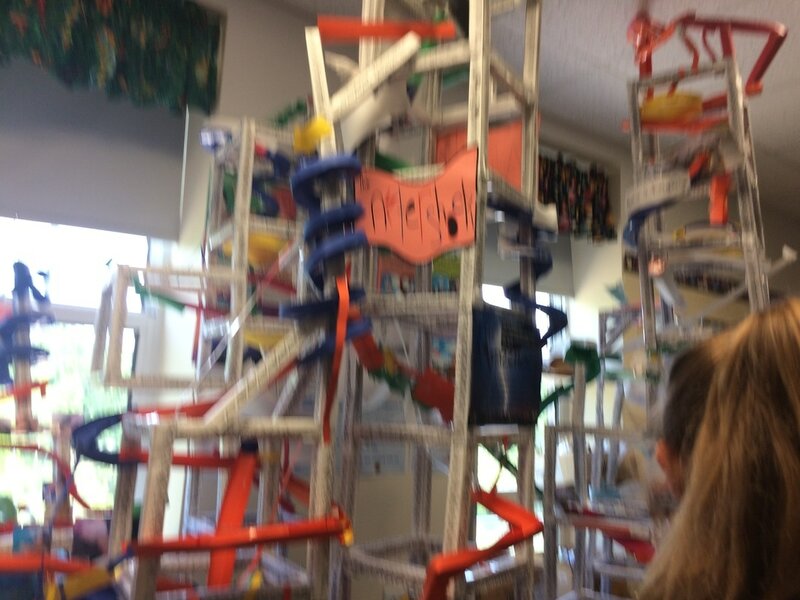 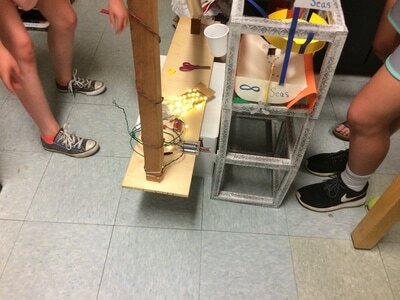 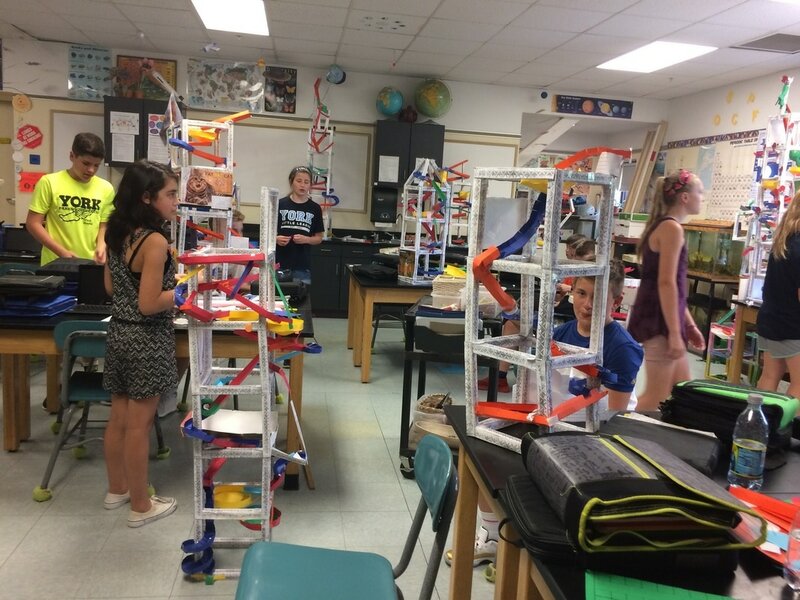 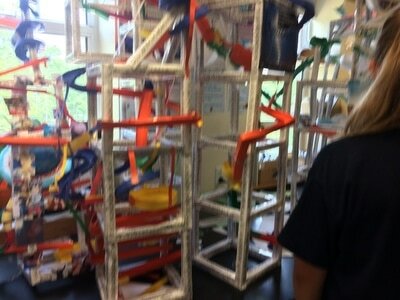 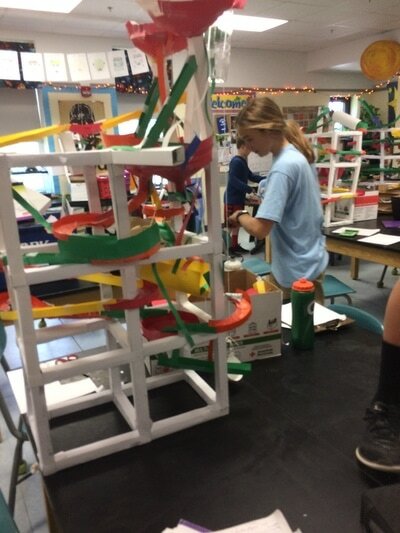 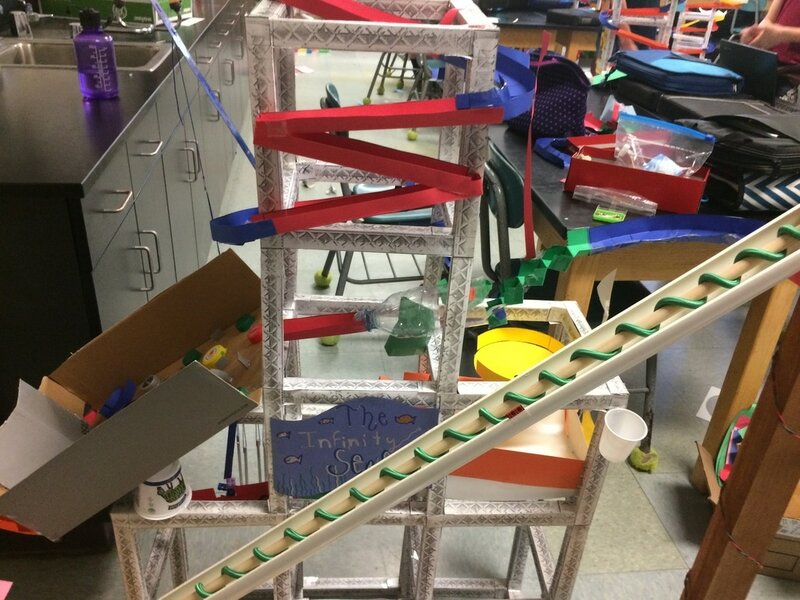 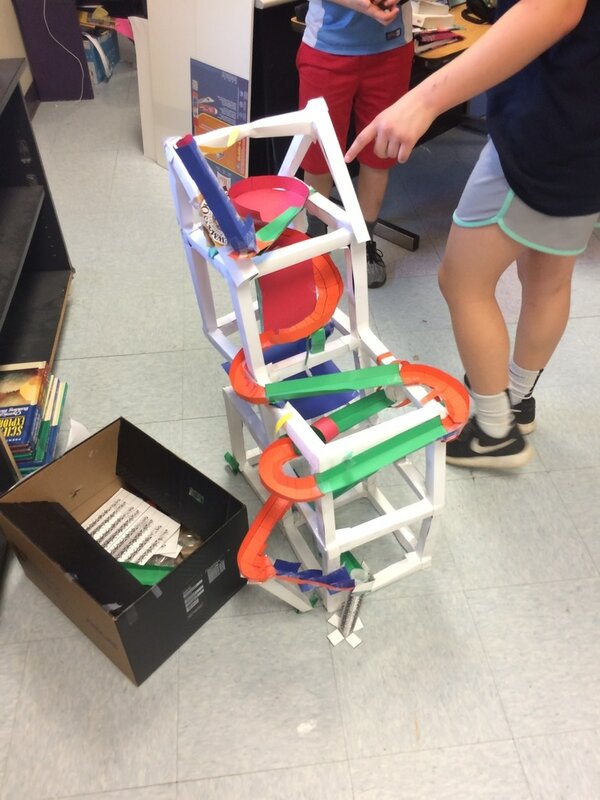 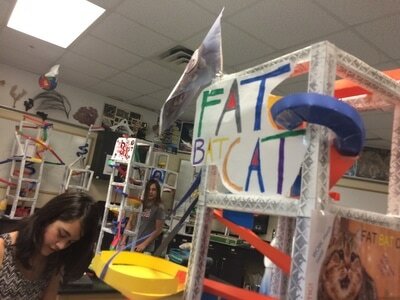 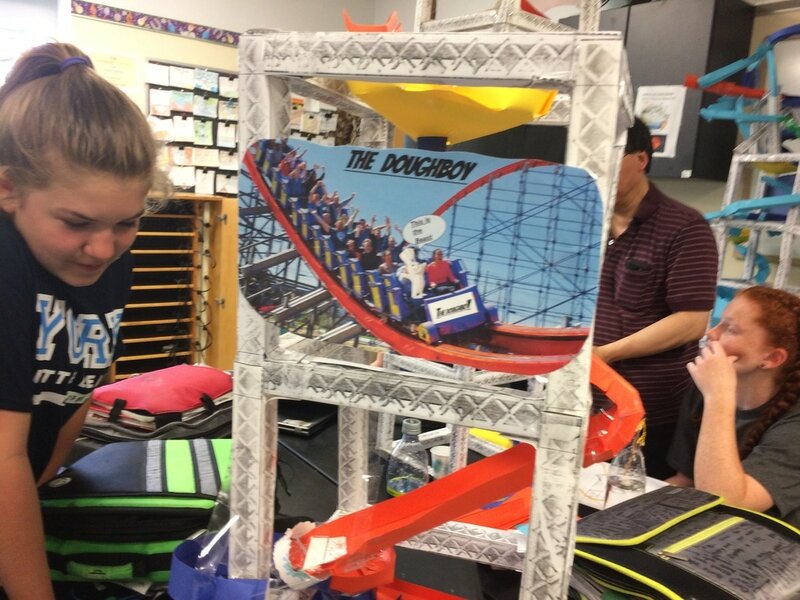 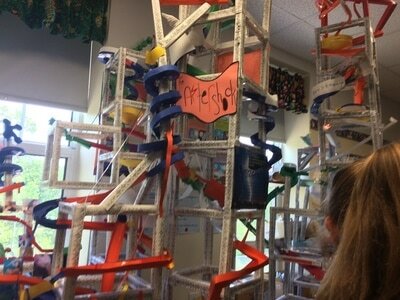 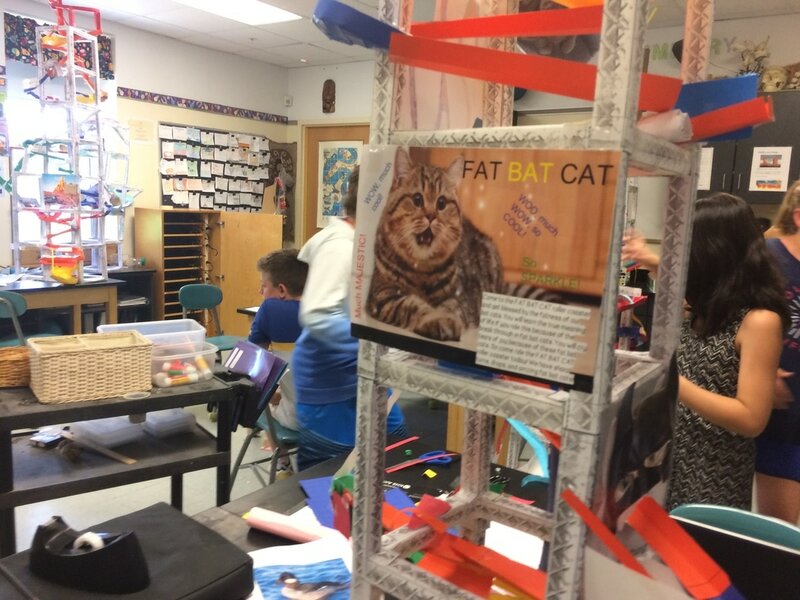 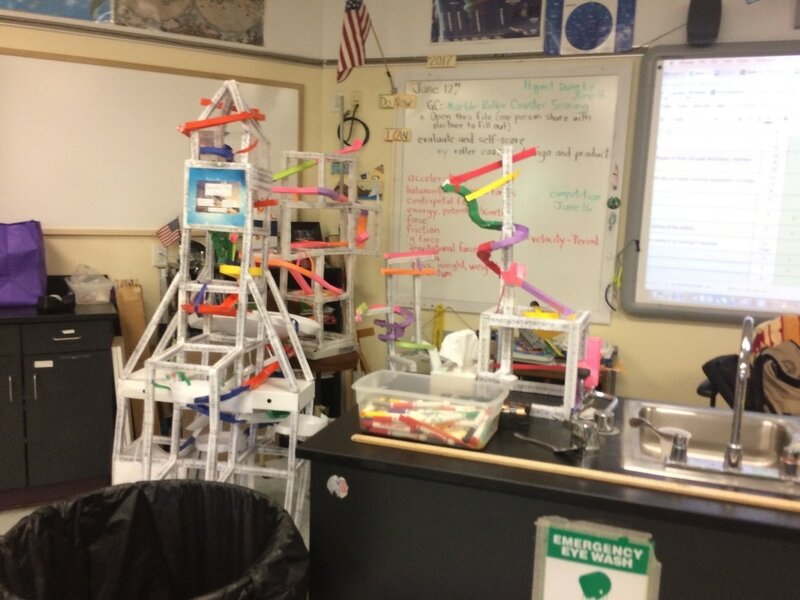 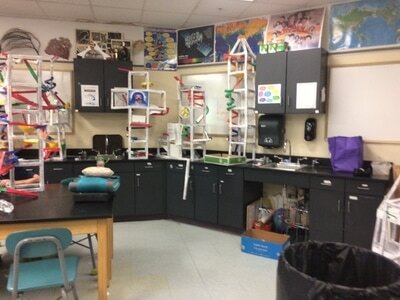 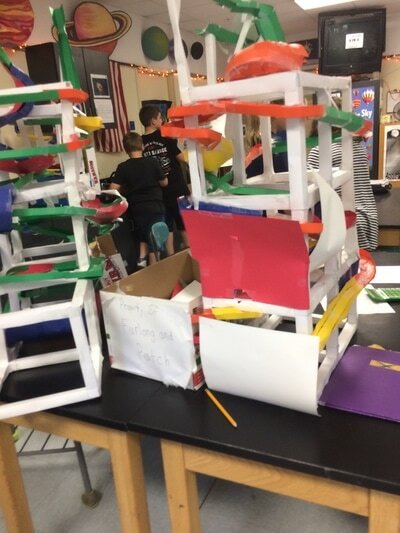 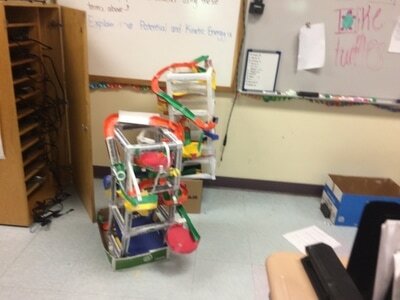 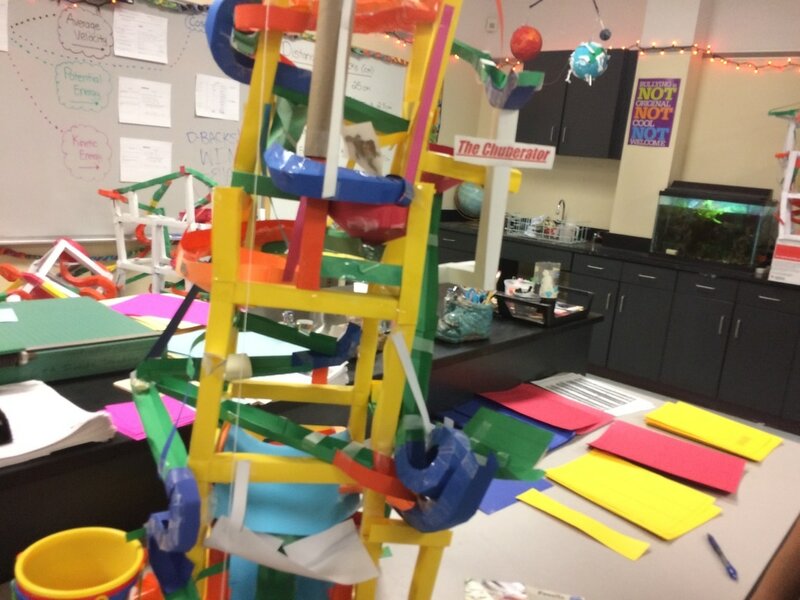 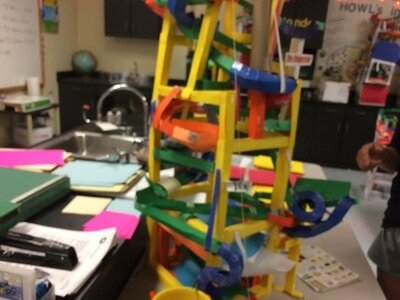 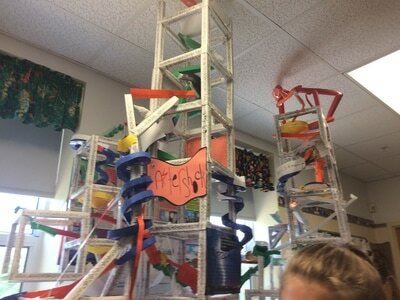 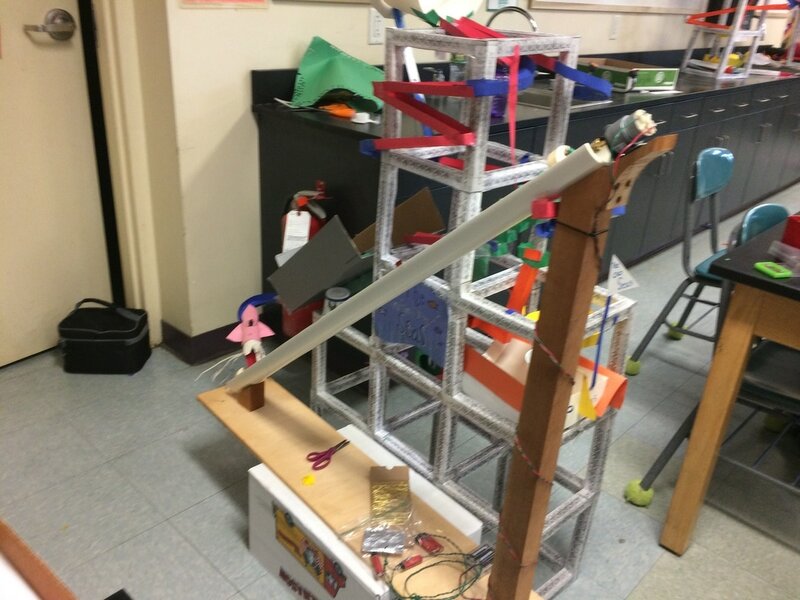 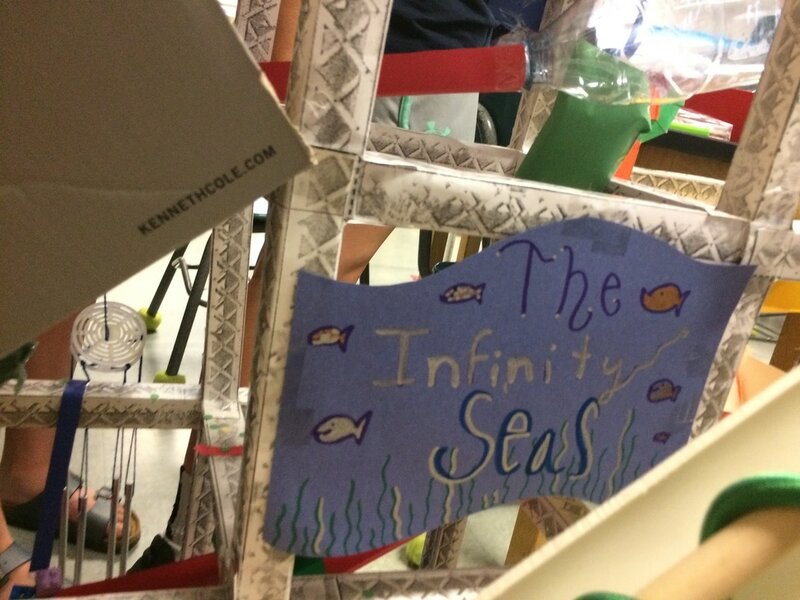 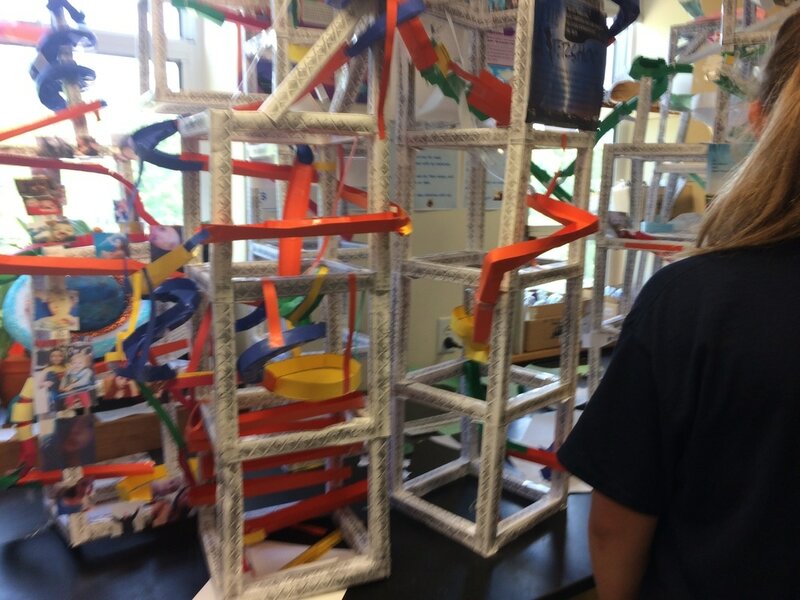 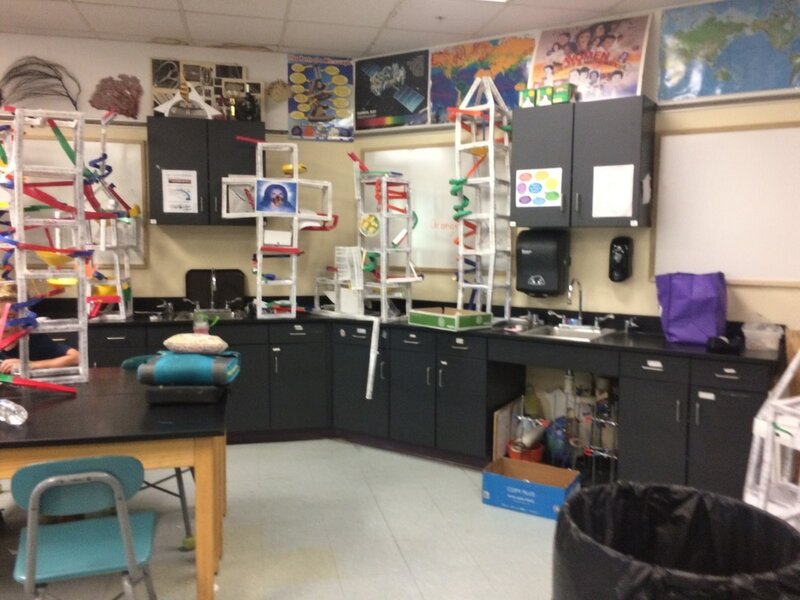 ​The six graders have been designing and engineering marble paper roller coasters on the Leopard and Jaguar teams these past two years plus when it resurfaced from a Rube Goldberg idea. Energy transfer, Newton's laws, and just the plain, fun physics of roller coasters were explored. One project made history as it made a device that kept the marble in motion until we ran out of class time -- over 7.5 minutes (see photos). 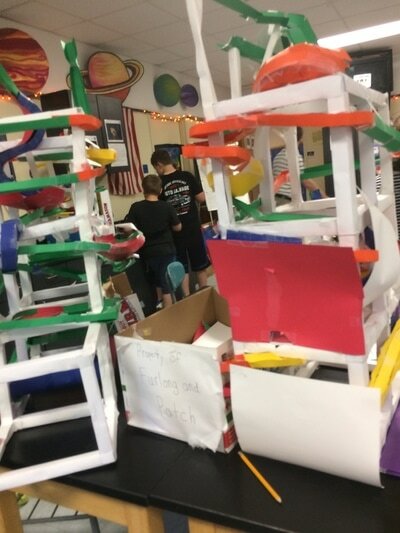 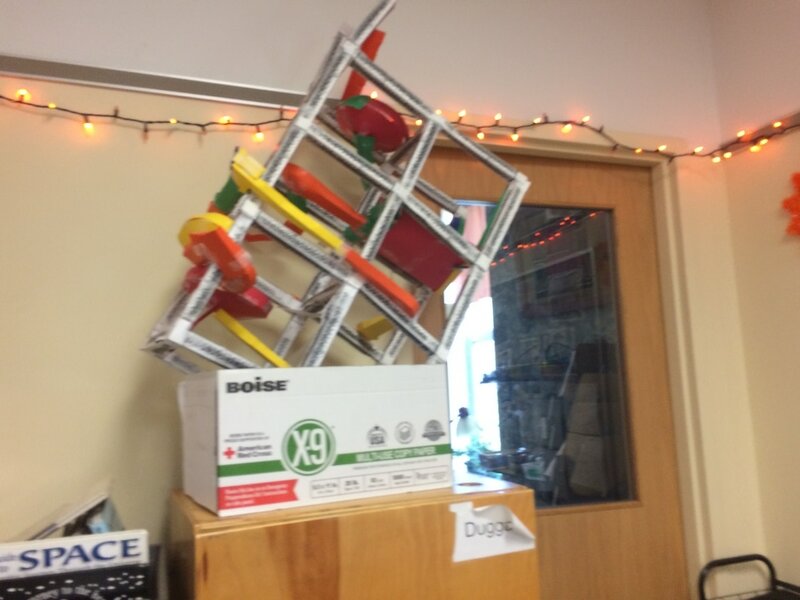 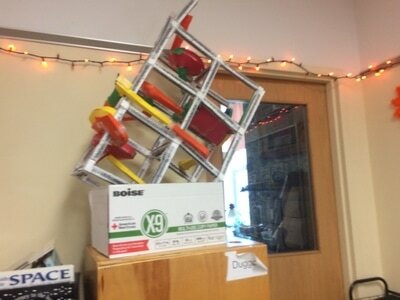 Roller coasters dropped weights, turned on lights, turned on switches and fans, popped balloons, tethered, seesawed, rang bells, painted, made wind energy, and much more, and all started by the roll of one marble. Great work to all students as they set new heights to this project.